Designed to settle and move, the RVCA Weekend Elastic Trousers offer a flexible essentials for all your efforts outside of office hours. Designed to settle and move, the RVCA Weekend Elastic Trousers offer a flexible essentials for all your efforts outside of office hours. 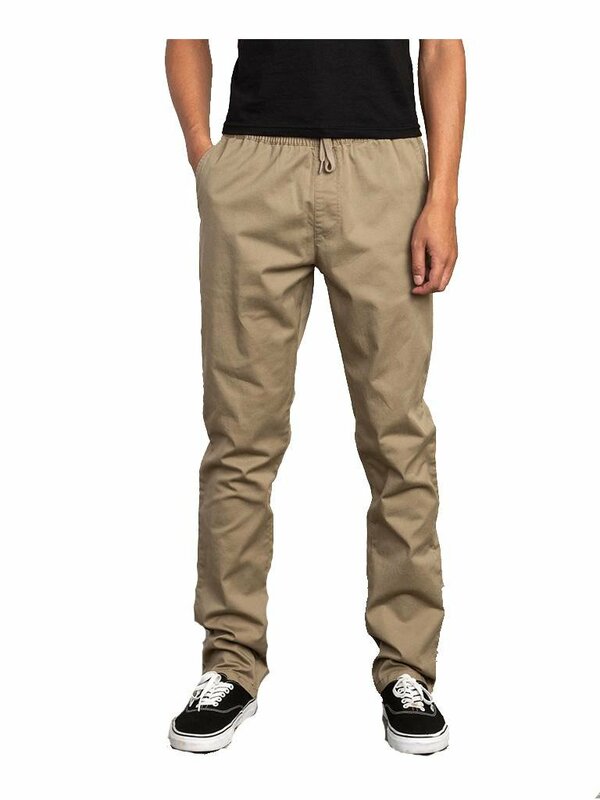 Made with an elastic waistband and stretch fabric, the men's woven pants feature a versatile design that combines comfort and classic lines.